Downtown offers a variety of parking options, including on-street, parking structures, and surface lots. 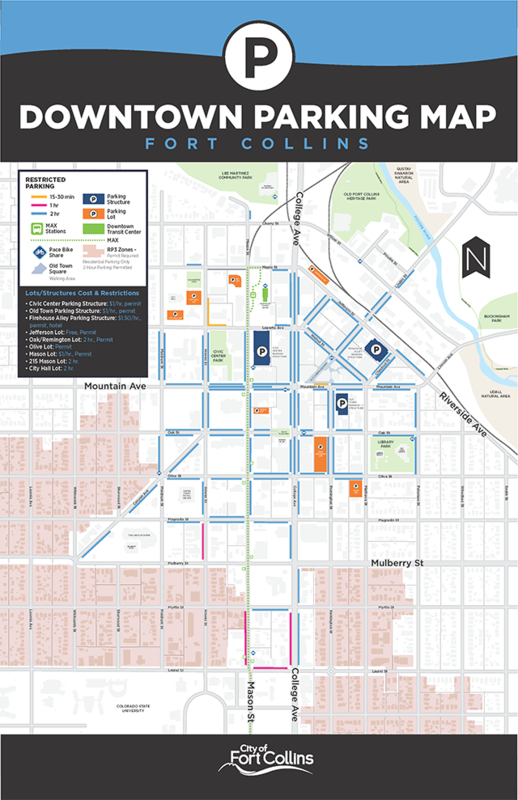 In general, the on-street parking in the core of downtown has 2-hour time limits, while the parking around the periphery of downtown has free, open, all-day parking. On the map below, the 2-hour parking is shown in the light blue.